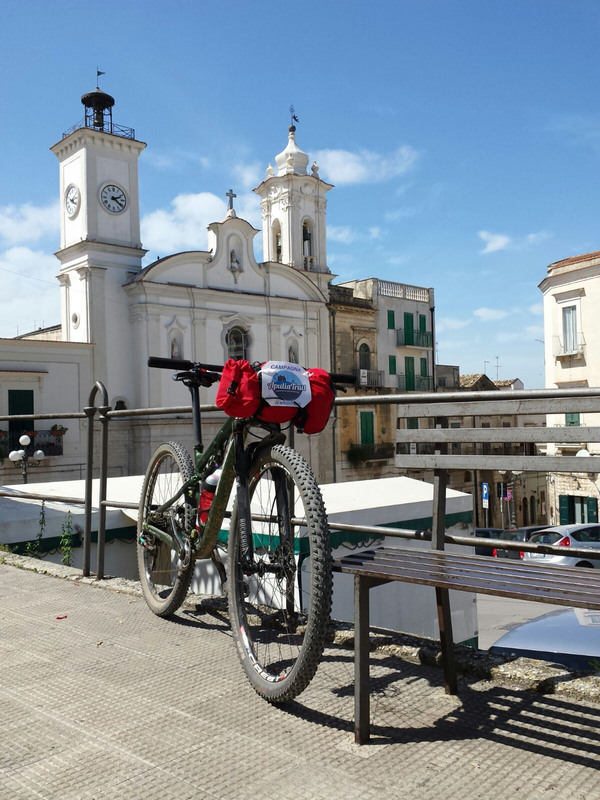 A bike packing adventure through places and sceneries of an unknown Puglia. There’s no time limitation, there’s no ranking, there are no competitors. The only competition is with yourself and the reward will be the memory of an incredible experience. You will bike through a national natural park, you will visit 2 Unesco World Heritage sites, you will “lose” inside some of the most beautiful town of Italy and you will taste (for those who want) various products of the traditional Italian food. these are just numbers to resume the physical effort, but the ApuliaTrail is also pleasure and discovery of surprising sceneries. The emotion to bike through the inner, wilder and unexplored area of Puglia into the heart of the National Park of Murgia. ApuliaTrail ASD was created just before the first edition of the ApuliaTrail with the idea to promote, using sport events, the region that gave us the birth and that we deeply lived and discovered. The ApuliaTrail staff is made by the founding mambers (Antonio, Giuseppe e Luigi – in alphabetical order) who shares, since long time, the passion for the sport and the adventure spirit and a strong relationship with their motherland. Before than being the organizer of the event, we are really appassionate and partecipants of other events that has the same philosopy or way of understanding the sport.